Food is one of those things in life that one should never comprise if given the opportunity! When it comes to offering top notch service and products, Pullman Hotels and Resorts never disappoints. This time they bring the authentic taste of Thai cuisine to Malaysia through Sedap restaurant and Chef Phubess Viboonsiripakorn, also known as Chef Pop to the many that are fond of him. The 15 year veteran to Thai delicacy's menu includes traditional favorites such as Tom Yum Goong, Som Tam, Pad Kra Prao, Pad Thai as well as lesser known authentic dishes like Gai Yang and Pla Pao. 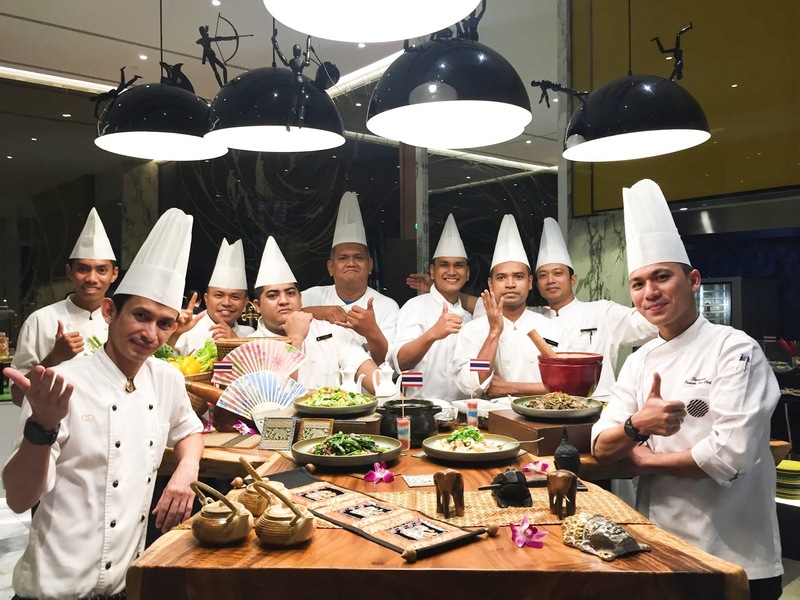 If you are fan of Thai cuisine and all that is fine in dining, Chef Pop and Sedap Restaurant at Pullman Hotel KLCC will be offering a daily buffet lunch from 12:00pm to 2:30pm with a buffet dinner being served from 6:30pm to 10:00pm. For those keen on having to meet the great chef himself, he will be around until 30th of September. Lunch is offered at RM120 per person and dinner at RM140 per person. In the nature of always giving the best, fans of Pullman KLCC social media (Facebook and Instagram) as well as in-house guests will get a whopping 25% discount on their booking.